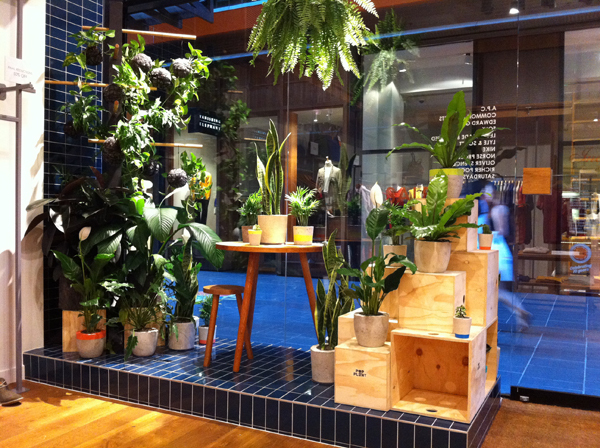 FK chats to Andrew of colourful & fresh Melbourne based label, Pot Plant. 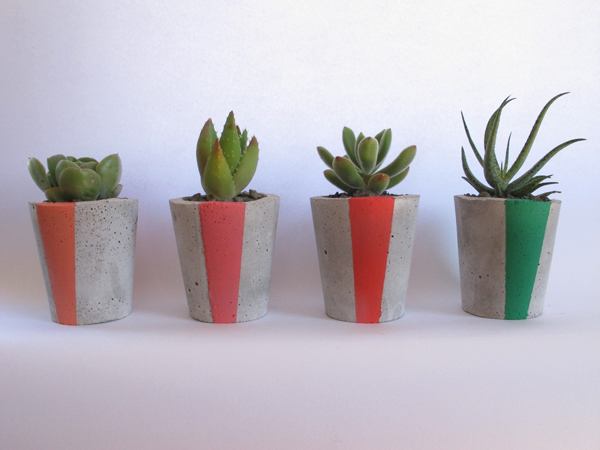 You will able to find your very own pot of greenery when Pot Plant debuts at the upcoming Melbourne Markets! Tell us about your label Pop Plant and what the concept is behind it? 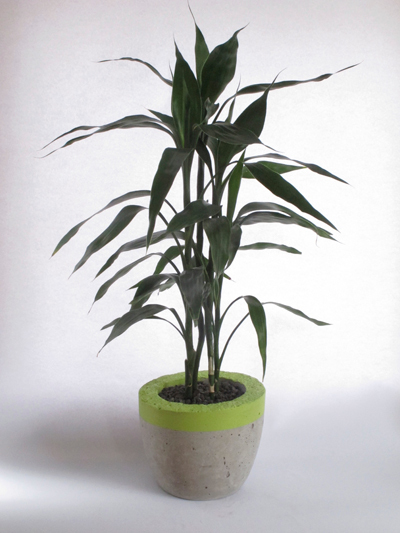 Pop plant is about promoting the greening up of urban spaces. 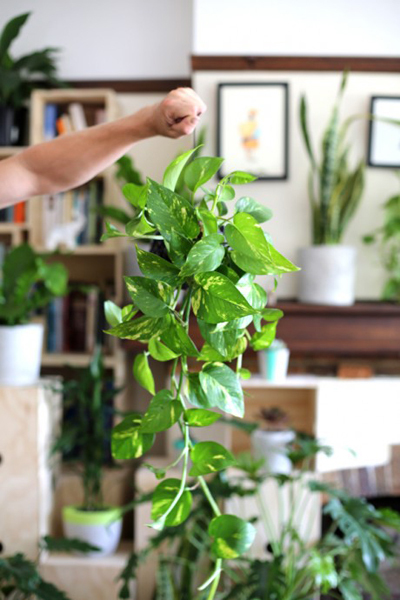 We have researched practical, hardy and easy-to-care-for indoor plants to make inner-city gardening a little less daunting. 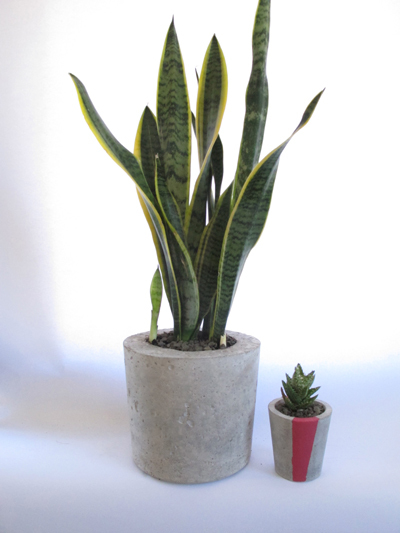 Our no-fuss specimens come in a range of carefully hand-crafted colourful concrete pots and poly-felt (made from 100% recycled plastic bottles) string gardens. We want to help city dwellers create their own green retreat in the concrete jungle and hope to convert a few black thumbs in the process. We discovered our passion for greenery whilst tending a walled garden paradise in Peru. After a year we found ourselves back in Melbourne, living in a small inner-city apartment. Missing the feel of the foliage and smell of the soil, and undeterred by the lack of outdoor space, we began to slowly fill our home with plants. We soon became incurable indoor plantaholics. Realising how much this greenery was not only making us happy but also enhancing the quality of our urban lives, we decided it was worth taking this message to other urbanites. The Kamal Meattle TED talk about literally ‘growing your own fresh air’ using common house plants which are effective at oxygenating and ridding indoor spaces of nasty toxins. Meandering through the Fitzroy Gardens. The 70s craze for indoor plants. Browsing paint shop colour palettes. The versatility and unpredictability of concrete. Trying our best to use recycled materials and be as sustainable as possible. Our workspace is also our home. It doubles as our nest and also as a place of experimentation where our ideas are born and tested. It is bright and sunny and filled with foliage. We also have spectacular views of the city and surrounding parks which is an unwavering source of inspiration. 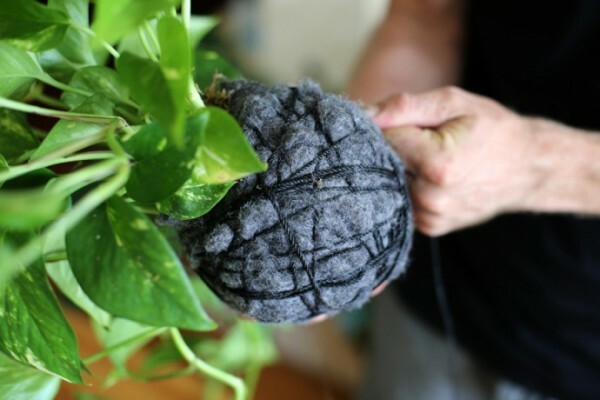 What is your creative process in creating the Pot Plants? And what are some of the challenges? Lots of trial and error. We have experimented with all sorts of different materials, including PVC piping, terracotta and many many different concrete mixes! Lets just say we have a big bin full of rejected ideas. What can we expect to see from Pop Plant at the upcoming Melbourne Markets? You can expect to see a stall full of concrete, polyfelt, ply and loads of green. 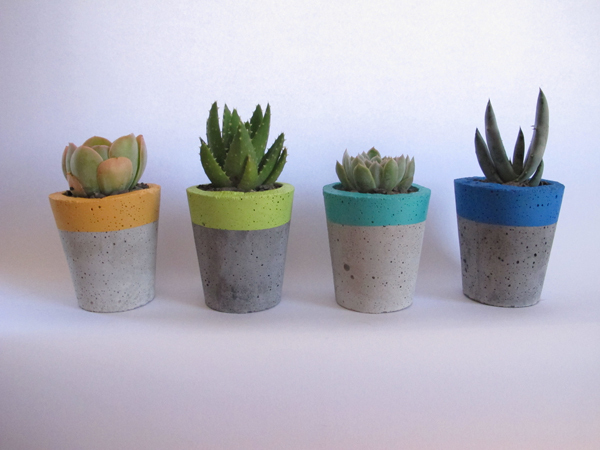 We will have an array of colourful pots of all different sizes, each with its own awesome plant specimen. There will be our old time favourite string gardens both herby and foliagey. And for the very first time, we will also be showcasing our new range of polyfelt pot covers and balcony planters and panniers.